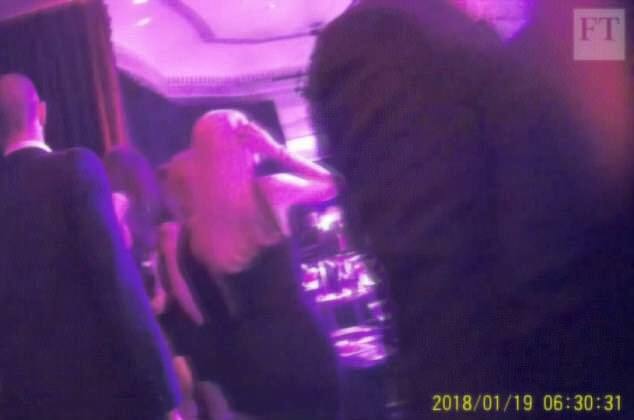 Theresa May dined with the co-chairman of the controversial Presidents Club just weeks after criticising an event at the centre of sleaze claims, it was revealed yesterday. Bruce Ritchie met the Prime Minister after she spoke out against a dinner in which female staff were allegedly forced to dress sexily and were propositioned by guests. The millionaire has donated at least £50,000 to the Conservatives’ Leader’s Group, which secures members exclusive access to Mrs May at dinners, lunches and meetings. Undercover Financial Times journalists found women working at a Presidents Club dinner at the Dorchester Hotel were allegedly groped and sexually harassed by the male guests.